Scientific Name: Gardenia jasminoides 'Variegata'. Comments: This could be the same species as those listed as Gardenia augusta 'Variegata', although there are descriptions for both. It is sometimes listed as Gardenia species. It produeces a single white, fragrant flower. 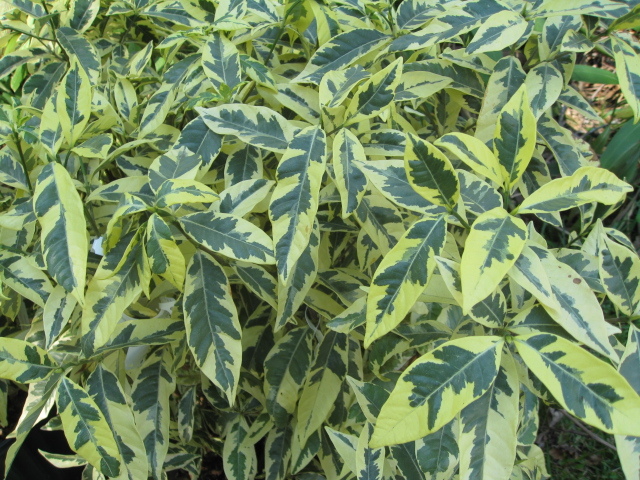 There variegation if the leaves is outstanding.